Getty Images/Jeff J MitchellA replica of the cane, containing a petrified mosquito, used by Lord Richard Attenborough in Jurassic Park. There’s a glaring mistake in the 1993 dinosaur classic “Jurassic Park” that any good entomologist would know. The mosquito used in the film is completely the wrong species. “They have been around for about 170 million years,” Conlon, who now works for the American Mosquito Control Association, told us. Unfortunately, the species portrayed in Jurassic Park — Toxorhynchites rutilus — doesn’t feed on blood. It’s actually the only type of mosquito that doesn’t. 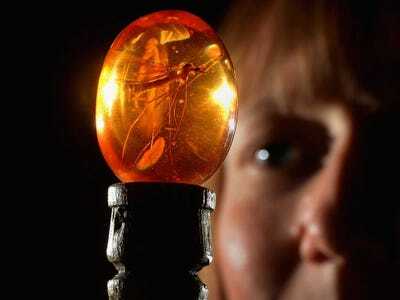 Another problem with the movie: DNA couldn’t have possibly stayed intact for 80 million years. 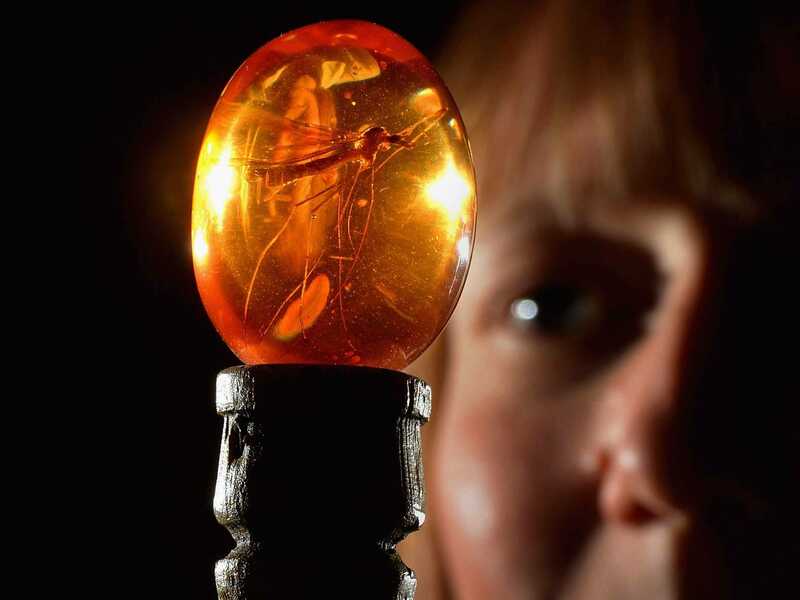 Scientists are trying to resurrect some more recently extinct creatures, though.